The Lindsay Wildcats Bantam Girls captured the Bronze Medal at their Ontario Cup championship in Niagara Falls. 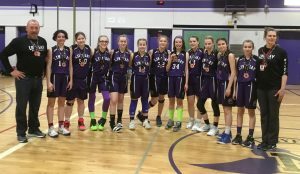 Posting wins over Ancaster and Timmins in the qualifying round, the girls used a smothering defense in taking Barrie 31-23 in the Bronze Medal game. Congratulations Wildcats!! !